Zootopia is the Disney movie following hot off the heels of their mega smash hit, Big Hero 6. However, here in this movie, we don't have heroes in the conventional sense as we know them. In case you didn't know, Zootopia is a world of animals, who live in pretty much the same way we do...they go to work, they take their kids to school and they pay their bills. If you're looking for all the latest Zootopia Dolls and Toys, then congratulations, you are have arrived at the right place. Animated Movie Dolls.com will be sharing with you the best Zootopia Dolls, Toys and Figures that would be perfect either for you as an avid Disney fan and collector, or perfect for you to give to someone as a gift. In the mean time there are a couple of things you can do, to speed up getting your hands on all that exciting Zootopia merchandise. If you're in the United States, then simply click to be taken to Amazon.com's latest Zootopia dolls and more, here now. ...or if you're in the UK, then you're probably looking for Zootropolis dolls and toys, so you need to here, to Amazon.co.uk right now. Top fact: Did you know that Zootopia isn't called "Zootopia" across the world? Yes, that's right! In different countries, the Disney film has a slightly different name (something to do with copyright apparently), so in the UK, you'd be looking for Zootropolis Dolls and Toys, if you were Germany, you'd be after Zoomania Figures and if you were in France you'd want Zootopie. Pretty cool, huh? So, what are we waiting for...let's check out some of the most popular Zootopia dolls and toys, from Judy Hopps dolls to Nick Wilde toys! Let's be honest, the release of new Funko Pop dolls are more or less as exciting as the release of a new Disney or Pixar movie, right? 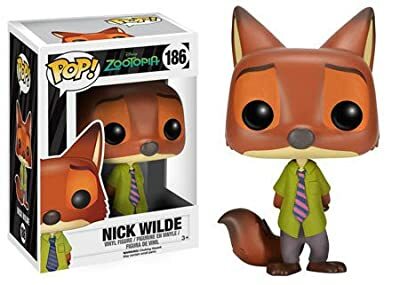 As soon as we saw the first trailers for Zootopia, it was clear as day, how awesome their Funkos would be, and the Nick Wilde doll version is no exception. This cunny fox looks uber fab as a Funko. 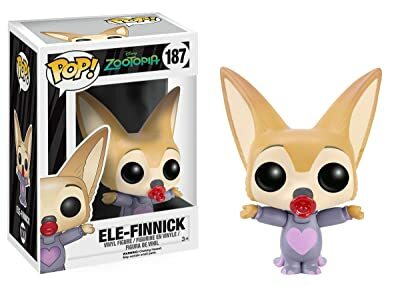 If you want to collect a few Zootopia Funkos and not really sure where to begin, then it seems obvious to get one of the main stars of the movie! Do you love Funko Dolls as much as the Movie? Here at AnimatedMovieDolls.com we squeeee with delight whenever we see designs for new Funko Pop dolls, to tie in with any new animated feature. For us, getting a new Funko has become as ritualistic as having a birthday! It's an inevitable part of the animated movie experience! Maybe you're more of a fan of the bunny? 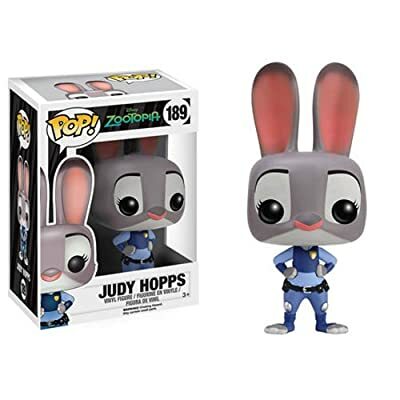 If Zootopia's Judy ticks all the "my favourite character" boxes, then this Funko doll is for you. Disney's most famous bunny since Thumper is here! And this isn't this Judy Hopps doll just the sweetest, in all its Funko glory. Zootopia is one of Disney's most popular animated features since Frozen, so get a piece of the action with this utterly awesome, Zootopia doll merchandise. You'll be proud to have a Judy Hopps doll sitting on your shelf...and also, all your friends will be super jealous and begging to know where you got it! Flash the Sloth (isn't that just THE best character name for a Sloth?) is fast becoming a firm favourite amongst the community of Zootopia fans. If you love Flash too, then get a load of this! This Zootopia Flash toy is super sweet and is the perfect desk companion for anyone doing class work, homework or office work...what better work champion do you need? The li'l fella is only 3 3/4 inches high, so will fit pretty much anywhere. 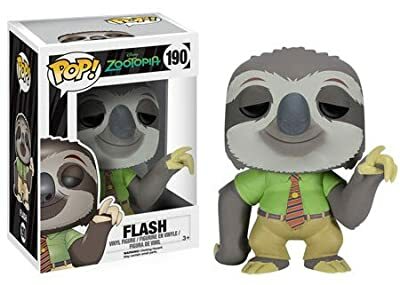 For those that don't know, Zootopia's Flash works at the Department for Mammal Vehicles, so why not get this awesome Flash the Sloth toy as a dashboard buddy for your car! Neat, or what? 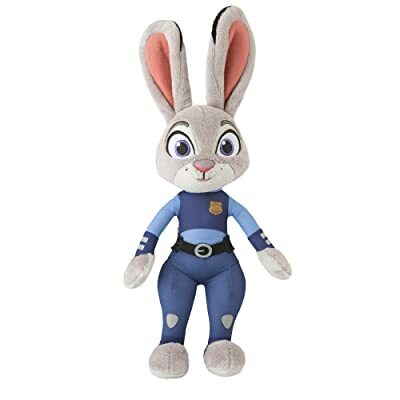 If you're looking for a Zootopia doll with a little bit extra, then this gorgeous plush toy, of Officer Judy Hopps might just be what you're looking for. Standing at 13.5 inches tall, this plush doll not only looks amazing, but it speaks too! Yes, Judy Hopps is here in soft toy glory, featuring 6 phrases from the Zootopia movie itself. 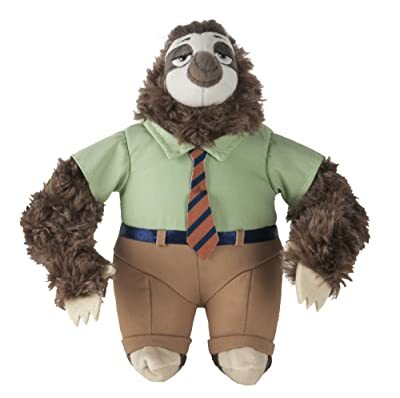 If you, or indeed someone you know (young or old) are a Disney fan, then this cuddly doll is just perfect...either as a souvenir, or as a way to relive your favourite parts from Zootopia over and over again! Feeling foxy? Nick Wilde foxy, that is! Now you can have your very own cuddly, talking Zootopia doll in the form of the film's lupine hero. About the same height as the Judy talking plush (13.5 inches), this bundle of joy will you give you an extra phrase! 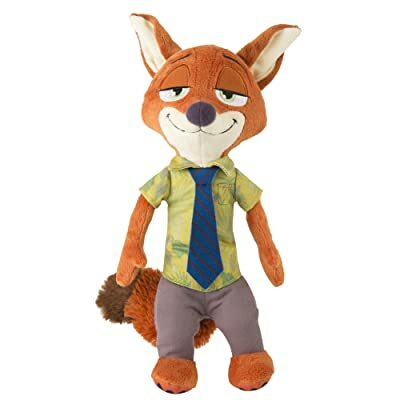 Yup, this Nick Wilde doll comes with 7 phrases that you will recognise from Disney's Zootopia. Glorious! So, if you're looking for the bad boy of the bunch, our loveable con-artist of a fox is just the ticket. He will look fab on any shelf, on any kiddos bed, or all wrapped up in a gift box ready to give to the deserving Disney fan. I'm going to let you into a little secret...Officer Benjamin Clawhauser of the ZPD is my favourite character from Zootopia (or Zootropolis if you're on UK soil). If you agree, then what are you waiting for? 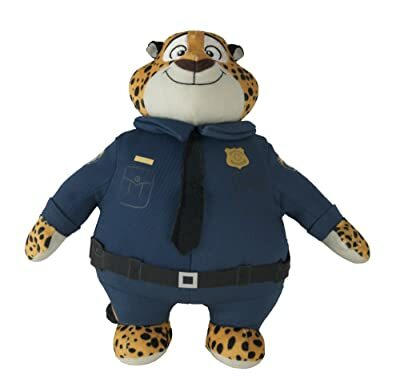 You need this Clawhauser doll in your life now! One of the things I love about Clawhauser, is his loveable charm, he has that cute optimism that we grew to love in Olaf...and here it is again, apart from instead of ice, we have cheetah realness. This awesome Zootropolis Clawhauser doll stands at a nice 10" tall, so the perfect size for a good snuggle on the couch with a donut or two...exactly how Clawhauser here would like it. With this cutie, your Zootopia doll collection will never look better. Another character that has been getting a lot of attention from Zootopia fans across the world, is Flash. Yes, the unspeedy creature, with the speedy name. Coming in at a fraction smaller (at 9.5") than Clawhauser, Flash the faster worker at the Zootopia DMV, will earn a place to your heart fast! Soft and cuddly and super cute, this Zootopia plushie is perfect for anyone who fell in love with the huge cast of hilarious animals from another fantastic Disney animated movie, that has become an instant classic. If you're not sure which Zootropolis doll to get, you would do well to have this one in your collection, for sure! YASS!! It had to happen really, and we're sooooo pleased it has...it's here...one of the coolest Zootopua dolls...Gazelle...and she sings! Gazelle, the Zootopia songstress is here, and comes ready with song. All you have to do, is push her little button and her (and by "her" of course, we mean, Shakira) song, Try Everything. The end of the movie was so fun, and I think Gazelle is why. Suuuuch a catchy song, and just think, you could own it, in true Gazelle hero form. complete with glittery boots and top, and not forgetting the microphone, this Zootopia Gazelle doll, is fully poseable, so you can recreate your favourite moments from the movie very easily indeed. Let the pop star glamour come to your Zootropolis doll collection with this uber fab, Gazelle (DID WE MENTION SHE SINGS) doll! More Zootopia (zootropolis) funko dolls! Yasss! Of course, there are a couple more Zootopia Funko dolls to fall over yourselves for. Y'know, there is something so indescribably gorgeous about a good funko pop! doll, and the collection from Disney's Zootopia, is really no exception. Look! LOOK! It's Finnick...as an elephant! One of the most adorable moments of Zootopia, without a doubt. I mean, it is kinda disappointing that he doesn't have his full on Elephant suit in the doll itself, but hey, we can't have everything, right? If you're looking for an obscure-ish character, with tonnes of cute factor, and a quality doll too - then this is probably the Zootropolis doll for you! 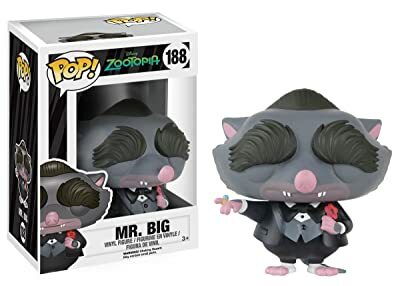 If you fell in love with the Bigs of Little Rodentia (and let's face it, who didn't) then you will love the Mr Big Funko Pop! In his glorious "kiss the riiing" pose, this little Zootopia toy will look fabulous on your shelf, or amongst your collection of Disney merch. Made of vinyl, and standing at 3.75 inches tall, this awesome Zootropolis toy would also make an excellent addition to an office desk. So when you have a mountain of work to do, just look at this lil funko doll and say to yourself "it's no BIG deal!"